Saudi Foreign Minister tells Russian counterpart the 2015 nuclear deal is not good enough. Saudi Foreign Minister Adel Al-Jubeir said on Wednesday that the 2015 nuclear deal signed between Iran and world powers was “too weak”. 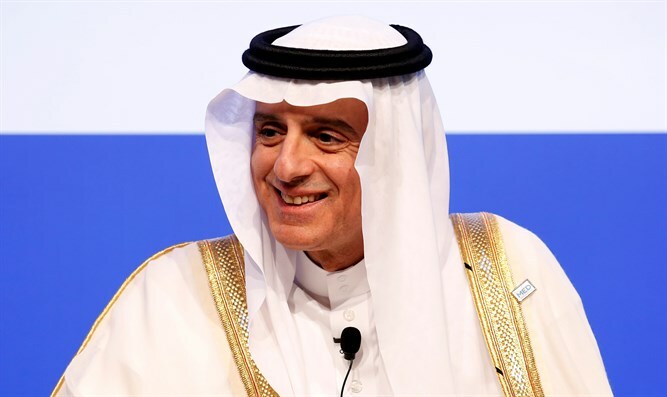 Jubeir made the comments during a meeting in Moscow with his Russian counterpart, Sergei Lavrov, according to a report in the Arab News website. Saudi Arabia believed the Iran nuclear deal, which included Russia, was weak, “particularly with regard to the time period that prevents Iran from enriching uranium,” Jubeir told Lavrov. He added that the deal did not include Iran’s support for terrorism and violation of UN resolutions on ballistic missiles. In March, Jubeir called the Iranian deal a "flawed agreement", calling out Iran for its destabilizing behavior in the region. After U.S. President Donald Trump announced in May that Washington was quitting the 2015 nuclear deal with Iran and would reimpose sanctions on the Islamic Republic, Saudi Arabia and its Gulf Arab allies welcomed the announcement.